Today is just a quick post about my GDP entry card. I have done a tutorial on how I put my card together and the different techniques that I used. For the original card I used Peekaboo Peach, Bermuda Bay and Early Espresso, but today I used Night of Navy, Blushing Bride and Mint Macaron. 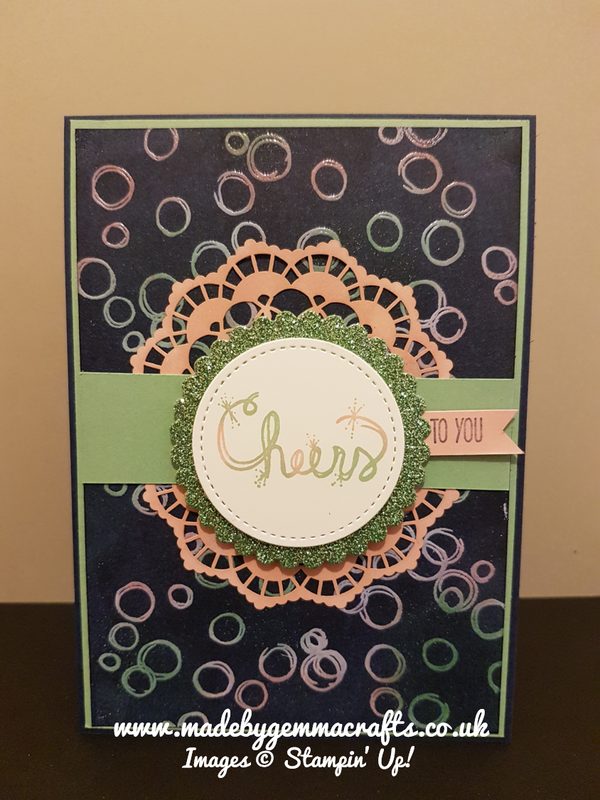 I have also made a panel to go inside the card, using the lacy doily as a stencil. A piece of card 4" by 5 5/8" for the first layer. A scrap of white to die cut a circle from. 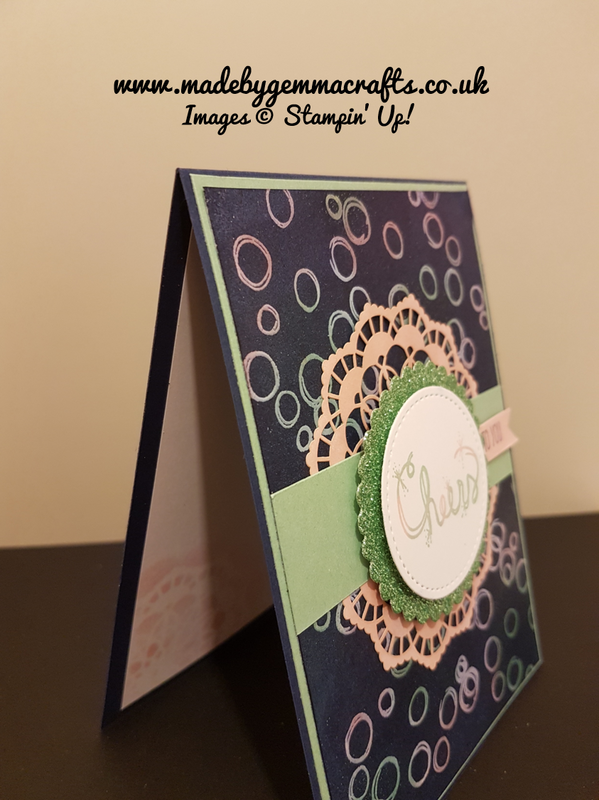 A scrap of card for stamping on. A piece of whisper white for inside the card measuring 5 1/4" by 3 3/4"
You will also need ink in your chosen colours, versa mark ink and a heat tool and some sponge daubers.